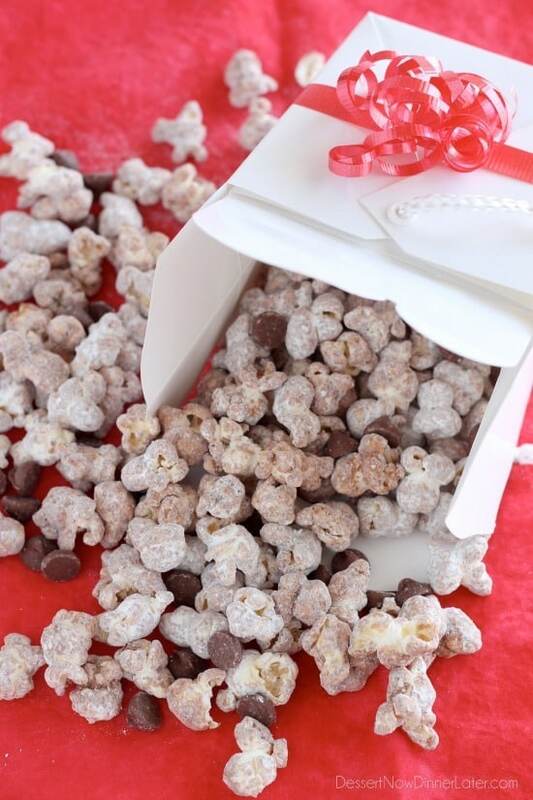 Muddy Buddy Popcorn - Dessert Now, Dinner Later! 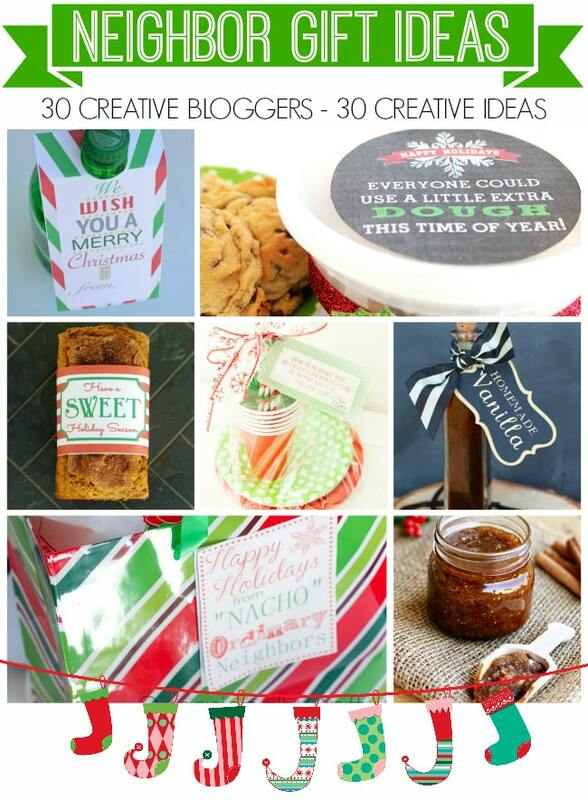 It’s that time of year again…time for another Neighbor Gift Blog Hop! There are 30 of us participating, so scroll down to see the other gift ideas. Last year I made these Cinnamon Roll kits, so your friends could bake them when they were ready, instead of being forced to eat all the treats that come around during the holidays all at once. This year is different because we’re going to be forcing our neighbors and friends to eat this when we drop it off at their houses, but I honestly think they will be happy to do that! You know how a lot of people make muddy buddies/puppy chow or different kinds of chex mixes to pass out for the holidays? Well, this is that same idea, but in popcorn form. A lot of people gift those cans of popcorn right? This is so much better than that! The chocolate chips inside the box with the popcorn are optional. You could buy peanut butter chips too, that would be fun to make it look prettier! Have fun with it! 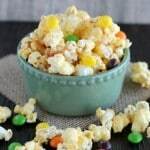 The point is that you make something you KNOW will get eaten by your family and friends, and unless they have a peanut allergy, I’m sure they will love this popcorn! 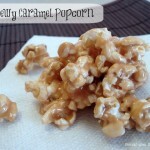 Pop the corn kernels, lightly salt, and remove un-popped kernels. Divide popcorn into 2 large bowls. Melt the milk chocolate chips with the creamy peanut butter in the microwave for 30 to 45 seconds. Stir until smooth. Divide amongst both bowls of popcorn. Fold the popcorn with a spatula until everything is covered with the chocolate mixture. 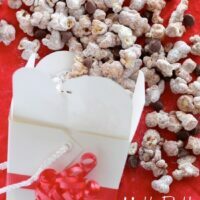 Toss ONE of the bowls of chocolate covered popcorn with the powdered sugar in a gallon size zip-top bag. 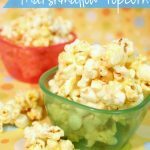 Pour the popcorn onto a baking sheet lined with wax paper, a silicone baking mat, or parchment paper. Pour the other bowl of popcorn on top of the powdered sugar covered popcorn and mix with your hands to finish coating the popcorn. Divide and package for neighbors, sprinkling with extra milk chocolate, or peanut butter chips for looks. Make sure to check out all the ideas below and visit everyone’s blogs for more details. Thanks Kara! It’s a fun twist on a traditional muddy buddy favorite, that’s for sure! 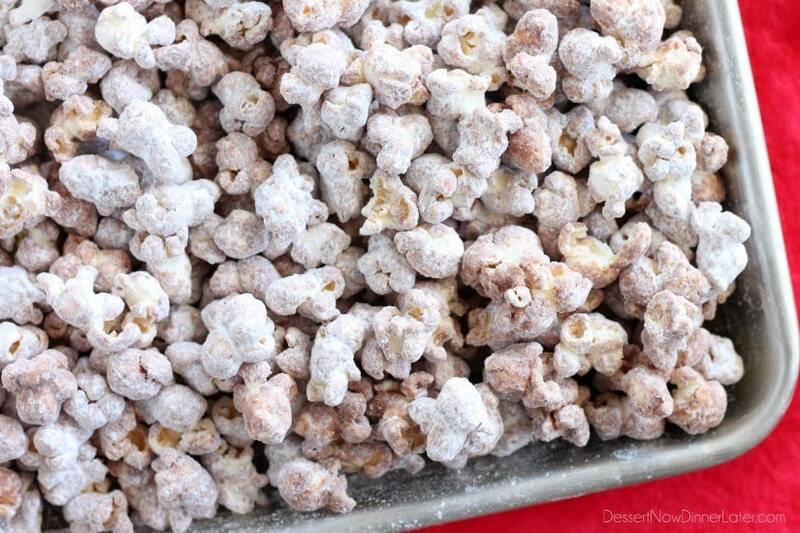 Mmm I love muddy buddies – so having the same flavor on popcorn. Yum yum yum! This looks so good. 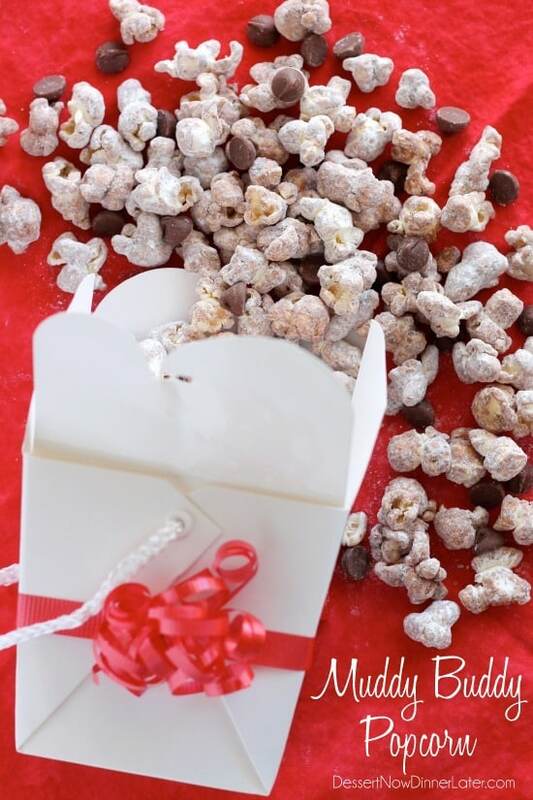 I love air popped popcorn, and love muddy buddies. Put them together and it must be amazing!!! Thanks! I’m pretty sure you will like this then! This is such a great idea! 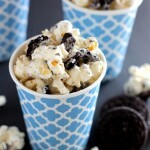 I love muddy buddies and using popcorn instead sounds even better! Yum! Thanks Sarah! We are popcorn addicts, so it was quite popular at our house! Hi, this looks so delicious, I am 6 months pregnant and have been wanting a dessert snack like this so badly! YUM. Do you think it will work just as well with nutella instead of the chocolate chips? You can replace the peanut butter with Nutella, but you need the chocolate chips so the chocolate will solidify after it’s coated in powdered sugar. Enjoy!